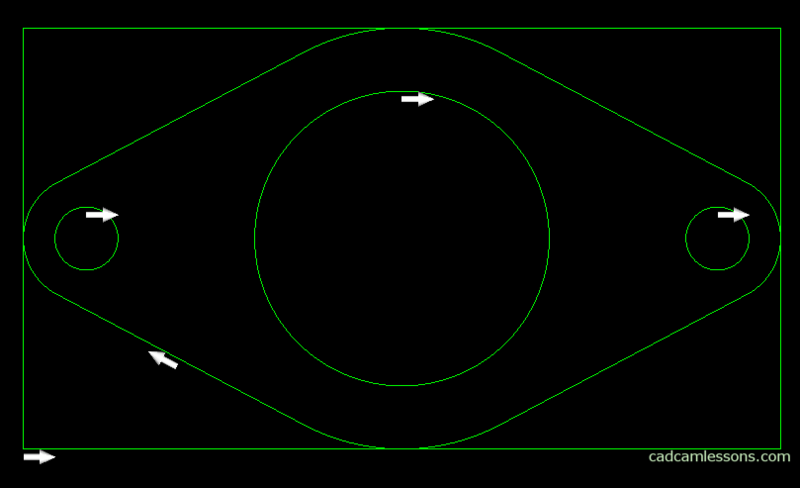 A function that simplifies the creation of the geometry of the stock is the Enclosing rectangle. Use it to draw a rectangle of minimal dimensions, enclosing all geometry. 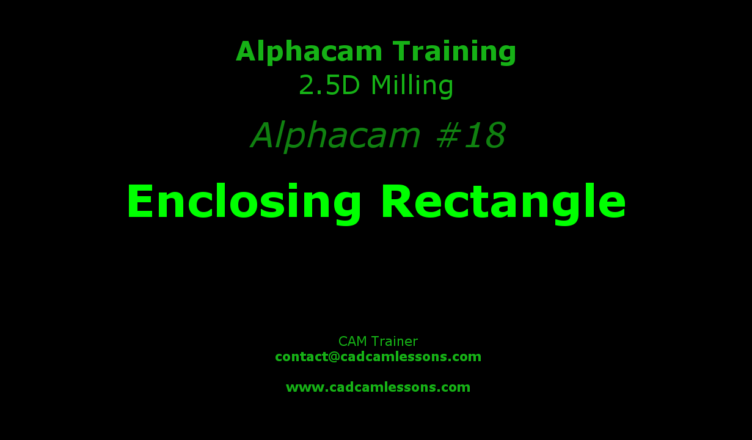 Choose Geometry | Special Geometries | Enclosing rectangle. 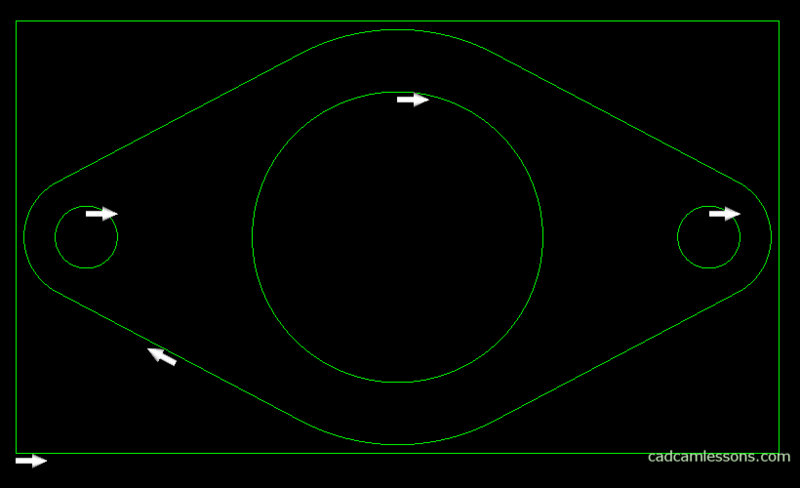 The command ENCLOSE: Select Geometries appeared on the command line. We can select the outer contour and accept it by clicking RMB or click the All button on the command line and then accept. Even if we mark all the geometries, Alphacam will create a rectangle that enclose the most external ones. Note that for several separate geometries (those that do not lie inside each other) a rectangle will be created that enclose all geometries. The rectangle will represent our stock. Let’s extend the rectangle by 2 units per side. Choose Edit | Offset. A window will appear and fill it in as in the drawing below. 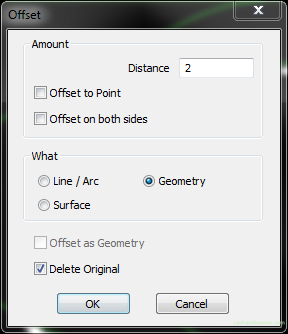 Select a rectangle and click outside the rectangle to specify the side to offset. The original geometry should be removed and we will get something like in the picture below.